Having a sick little one is a strain on any parent. As we’ve seen from other couples with ill or injured little kids, it’s never easy. You’re already exhausted from weeks or months with little to no sleep, and from constantly making sure that your child is happy and healthy. When he or she comes down with a fever? You can go ahead and add anxiety to the daily cocktail. 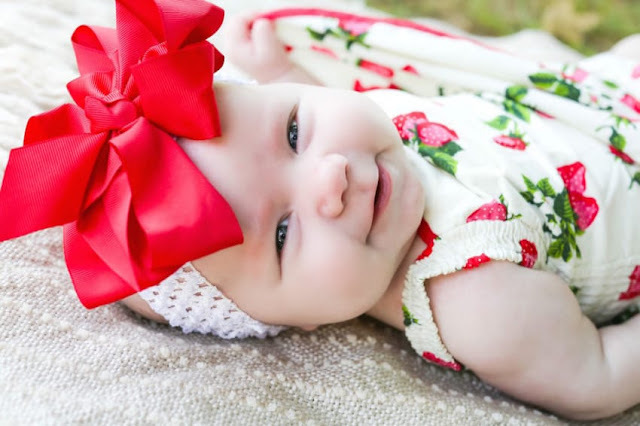 After Dallas French’s little girl, Ellee James French, got her 4-month shots, she came down with a fever. This is relatively normal, so she and her husband didn’t think much of it, except to monitor it in the coming days. Later that night, she started throwing up, but they still weren’t too panicked. French told that they believed her formula simply wasn’t sitting well after her day at the doctor — nothing really out of the ordinary, yet. 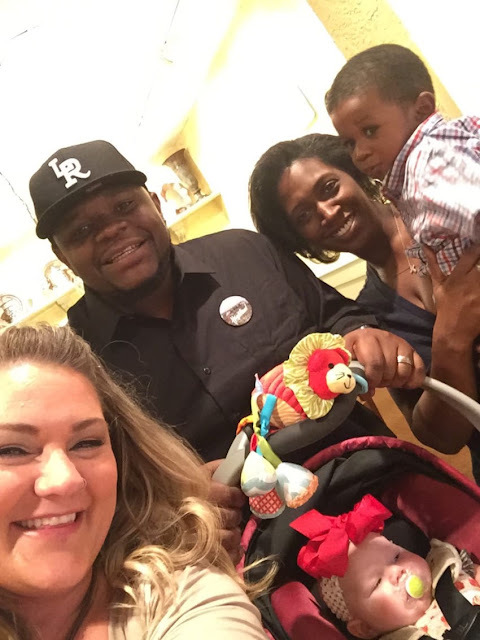 However, when she was still throwing up a few days later, that’s when Mom knew that it was time to take her back to the doctor to see if there was anything else besides the shots making her baby girl ill.
Doctors ran some blood tests and took a urine sample. While they waited for the results of the tests, they suspected that it might be a virus. If this was the case, a healthy helping of Pedialyte would do the trick. Later in the week, French got a call from the doctor with the lab results: Ellee’s urine sample had tested positive for E. coli, and she needed to go back to the hospital to have some tests done on her kidneys. So, back to the hospital it was, with an added dose of stress to this mama’s life. All she wanted was to make sure her baby would be all right. 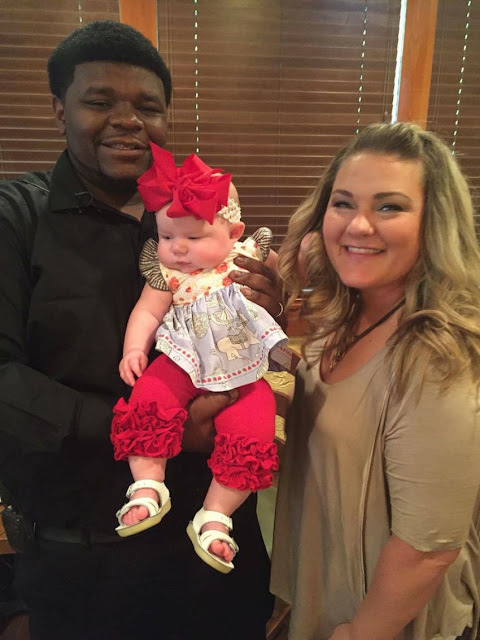 After the visit to the hospital, French and her husband went straight to their local Olive Garden restaurant in Little Rock, AR, to get everyone in this stressed, tired family something to eat. As soon as they all sat down, little Ellee started crying and wiggling all around after being poked and prodded all day long. French was so addled from the past few weeks that while she was getting Ellee’s bottle ready, she spilled it all over the restaurant floor. 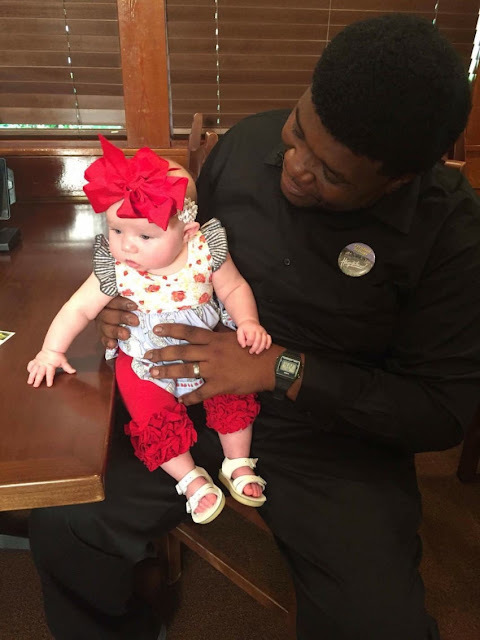 Their waiter came right over to the table and did something that touched this family’s heart. 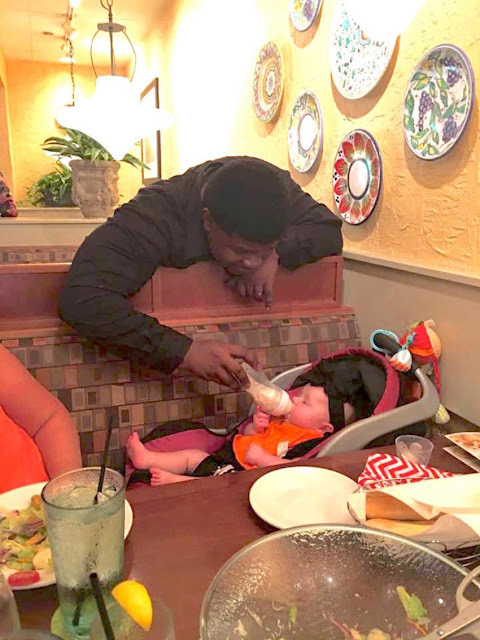 He didn’t even say a word about the mess, and immediately offered to feed their hungry baby. This man works hard to provide for his own family. He went far above and beyond his job description to help a woman who was clearly having a very hard day. He didn’t know exactly what it was that was stressing her out, but his warm heart knew that raising a child is never easy, and that we all need a helping hand every now and again. Even a simple gesture like holding a baby’s bottle while Mom and Dad can get a bite to eat can make someone’s entire week. We can all take a hint from Davis, and learn to pay attention to the folks around us. We’re all human, and we all go through hard times. After a tough month, there’s a light at the end of the tunnel. 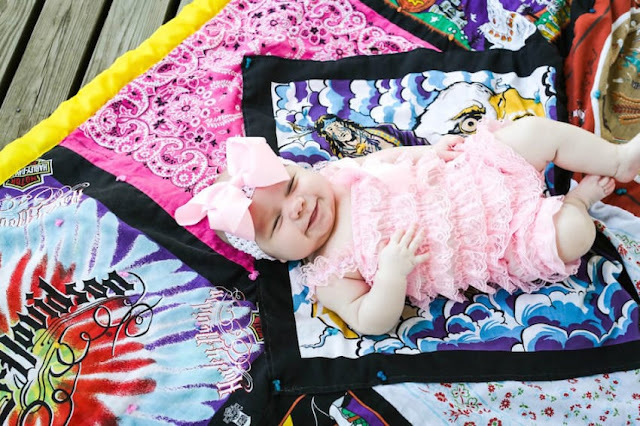 Little Ellee French was later diagnosed with a mild case of hydronephrosis, and doctors tell Mom that she’ll soon grow out of it, and will be monitored by doctors in the meantime. Thank goodness! Thank heavens for people like Robert Davis, too, for being a shining light in a moment of darkness.